The “”. is a Conference organized by The Grace Ladies International Business Fellowship. 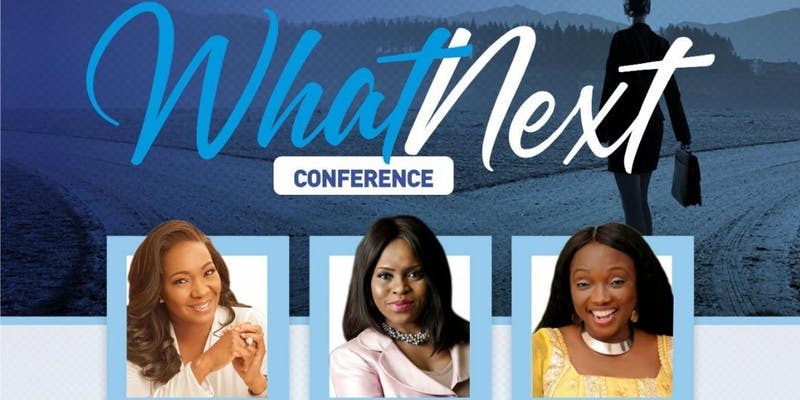 This Conference which is debuting this year and will henceforth be an annual event, is born out of a growing burden for women who are at different stages of their lives, careers, businesses, ministries, health, walk with God, etc but do not know What Next to do. The goal of the Conference therefore, is to strengthen, inspire, infuse courage, and give a sense of direction to all attendees so they can move to the next level. The Conference speakers will be sharing from their own crossroad experiences and how God brought them through and took them to the next level.